"Divorce": In Colorado, "divorce" is called a "dissolution of marriage" and encompasses many issues depending on your circumstances — the divorce decree which ends the marriage, the division of marital assets and debts, spousal support, parenting time and decision-making, and child support. If the parties file jointly, they are known as Co-Petitioners. If one files against the other, then they are known as the Petitioner and Respondent respectively. The Colorado divorce process has formalities and technicalities, some of which are discussed below. Subject Matter Jurisdiction ("SMJ"): SMJ deals with the authority of the Court to adjudicate or hear a claim. In Colorado, only District Courts (i.e. not County Courts, Small Claims, etc.) have the power to issue divorces and at least one party must have been "domiciled" in Colorado at least 91 days immediately preceding the start of the divorce case. In a general sense, this means that one of you (both are not needed) must have been living in Colorado for 91 days before filing the divorce action. People can have more than one domicile - they can have homes in different states. If this becomes an issue, evidence can be presented showing a Colorado driver's license, tax returns, vehicle registrations, etc. to convince a Court that a party is domiciled in Colorado. Again, only one party is required to be domiciled here - not both. Example. Only one party lives in Colorado and permanently moves to another state a week before filing for a divorce in Colorado. There is no SMJ here and Colorado cannot hear the divorce case. Also, there is a pre-decree waiting period of 91 days that must pass after the Court gets personal jurisdiction (discussed below) over the other party. Once those 91 days have passed, the Court may enter a decree of dissolution (issuing the divorce). Personal Jurisdiction ("PJ"): PJ deals with the jurisdiction of the Court over a party. PJ can be obtained in several ways. The first is if the other spouse signs the Petition for Dissolution of Marriage as a Co-Petitioner. The other ways all involve some type of service or waiver. The easiest way here to get PJ is where the spouse just signs a notarized waiver of service form. Another common method is to personally serve the spouse with the divorce process papers through a private process server or deputy sheriff. If your spouse does not live in Colorado there are special rules as to whether Colorado can get PJ over the spouse even if there is personal service. You should consult an attorney with respect to these special rules. Importantly, a Court does not need proof of personal service to enter a divorce decree - Service through publication in a newspaper is sufficient. However, the Court cannot enter orders directed at the other party such as spousal or child support or division of property and debts through publication. Venue: Venue refers to the county in which the case is filed. Venue is improper if the case is not filed in a proper county. Generally, If both of you live in the same county, then that county is proper venue. If the Respondent lives in a different Colorado county, then that county is proper venue. If the Respondent lives outside of Colorado, then the Petitioner's county is proper venue. However, venue can be waived. If the Respondent does not object to venue by the time the Response is due, then venue is waived and the case can proceed in the county where it was filed. For this reason, Jeff generally files in the county where it is most convenient for the Petitioner. If he represents the Respondent and venue is improper, he may object to venue and have the case moved, depending on what his client wants after consultation. Initial Filings: Generally, a Petition for Dissolution of Marriage With (or Without) Children is filed along with a Summons and Case Information Sheet. The Summons instructs the other party what to do initially as well as provides some special notices. The Case Information Sheet includes pertinent information such as the social security numbers of the parties and their children. copy of, has read, and understands the terms of the automatic temporary injunction. Grounds for Divorce: The grounds for a divorce in Colorado is an allegation that the marriage is "irretrievably broken". There is no fault that must be shown or any other reason that need be given. In fact, except for certain situations involving the spouse's behavior toward the children or abuse, most courts don't want to hear about any "fault" or bad behavior in the marriage. A Response from the Respondent is to be filed within 21 days of service in Colorado and 35 days of service outside of Colorado, and should point out any inaccuracies in the Petition or any additional requests for relief from the Court. Where the Respondent claims that the marriage is not irretrievably broken, a Court is highly unlikely to agree, since the Petitioner's belief is generally sufficient. Automatic Temporary Injunction: Upon filing and service of the Petition, the parties are not allowed to transfer or dispose of any marital property without a court order (except in the usual course of business for the necessities of life). They are also not to disturb the other's peace or remove the children from the state. Also, they may not modify or cancel insurance. And So Forth: There are other formalities such as filing fees, caption and format requirements, etc. which are beyond the scope here. After the filing, case management instructions will be given which assists in directing the case for mediation and eventually trial if needed. The instructions and directives are found in a combination of court orders, court rules, and statutory provisions. Divorce cases have many moving parts, particularly when issues such as asset/debt division, custody and child/spousal support are all included. Jeff Alter will sort out all the evidence including possible objections where needed, and carefully lay out examinations and cross-examinations on all the issues, while making sure you understand what is going on each step of the way. 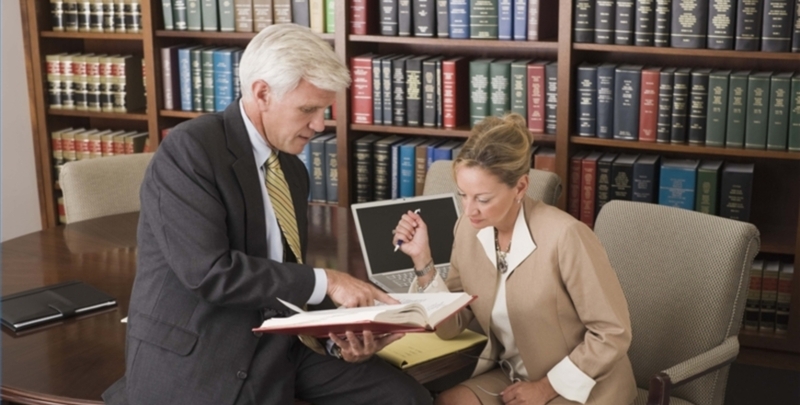 He helps you understand the strengths and weaknesses of your case, along with the strategies.